Great as a gift or for yourself, this combination of our Fine Fullblood Wagyu Steaks, Roast and Wagyu Ground Beef will delight you. 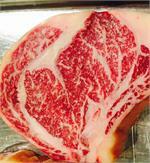 2-Wagyu Rib-Eye Steaks 14-16 oz. ea. 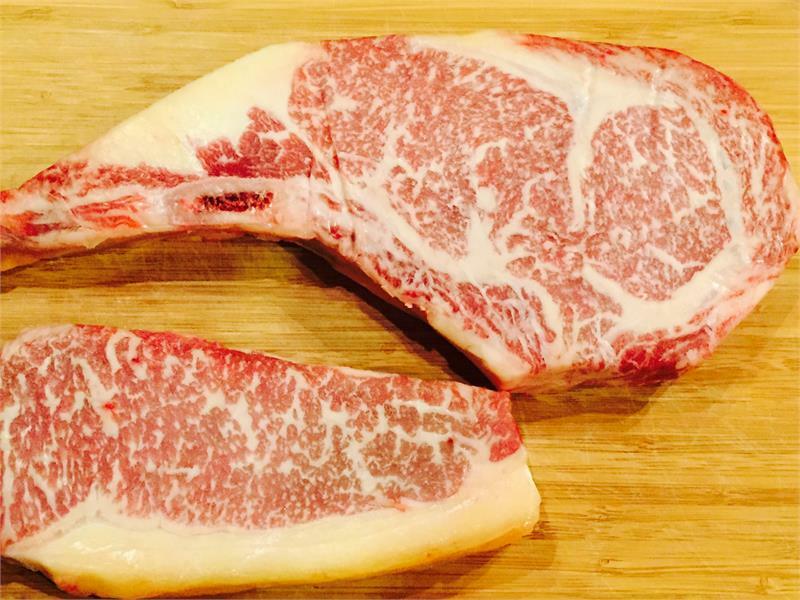 2 Wagyu Strip Steaks 9-12 oz. ea. 1 Wagyu Chuck Roast 3-4 lbs. ea. 3 lbs of Wagyu Beef. We can ship now or if you order now we can ship to deliver on a specific date, if you are ordering for a specific delivery date email jbfarms@kobemidwest.com or call 417-849-1227 after you order to set time for delivery. 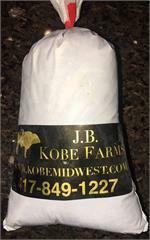 Our mouth watering briskets will take your BBQ or Competition event to the next level with abundent marblin.g Full American Kobe-Wagyu Beef Brisket (Point and Flat together) 7 lbs. minimum most are larger. Chuck Roast Am. Kobe-Wagyu. 3-3.75 lbs. ea. Package of 6 1/4 lb. Pre Made Wagyu Ground Patties. Highly Marbled and Succulent this is one of our best selling steaks. 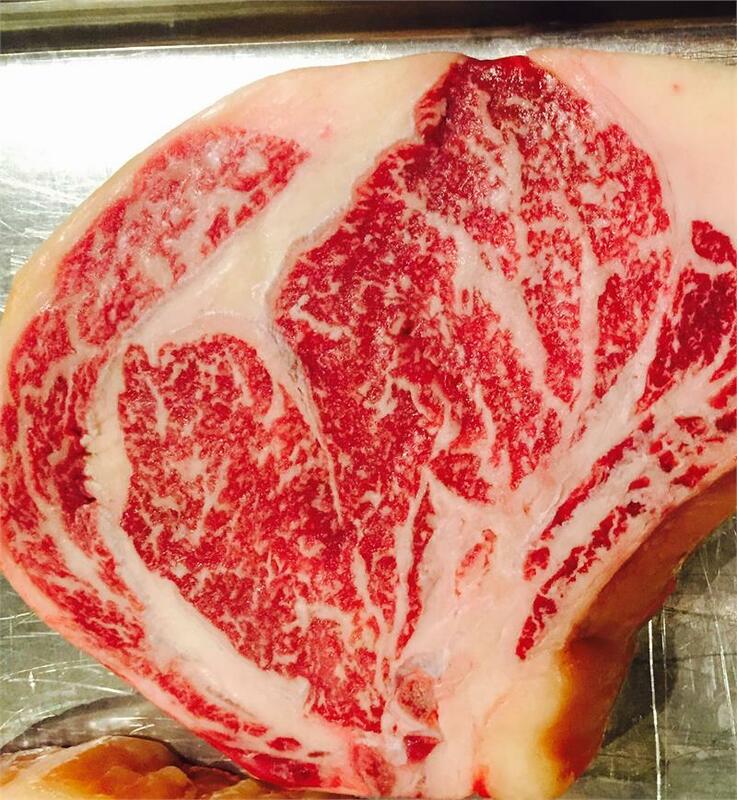 bone-in for added flavor American Kobe-Wagyu Beef Bone-In Rib-Eye Steak 14-18 Oz. Ea. these are currently in high demand we will email you If their will be any delays. Wagyu Beef Fat For Cooking. Unrefined Beef Fat. Approx 0.65 lbs each. 1 lb. Package of Am. 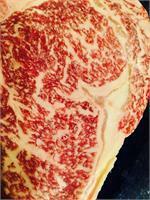 Kobe-Wagyu Ground Beef with sirloin and round steak added to grind. Premium Wagyu Jalapeno Cheddar Bratwurst. "Spicy but not too spicy". These tasty Bratwurst have a mild but noticeable heat to them. We have found even poeple that do not enjoy spicy food absolutely love these brats.